Job Description Dustin Adcock serves Stanly County as the Field Crops and horticulture Extension Agent. His expertise is in horticulture, soil health, field crops, season extension, education, marketing, and communications. 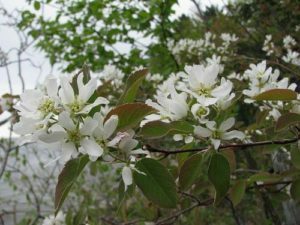 2019 4-H Plant Sale Starts Today! 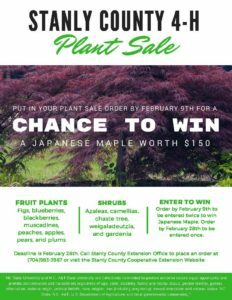 4-H Plant Sale 2018...Win a $150 Japanese Maple! North Carolina Cooperative Extension gives our residents easy access to the resources and expertise of NC State University and NC A&T State University. 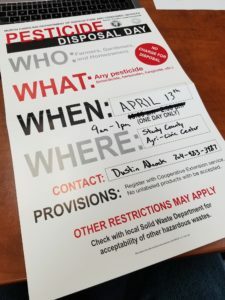 Through educational programs, publications, and events, Cooperative Extension field faculty deliver unbiased, research-based information to North Carolina citizens. We can answer your questions on a wide array of topics. To find out how we can help you, browse our site or contact us by email or phone. 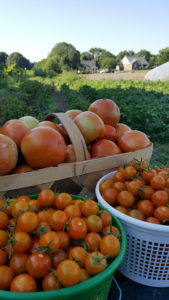 Cooperative Extension is the outreach arm of the College of Agriculture and Life Sciences at North Carolina State University and the School of Agriculture at North Carolina A&T State University. 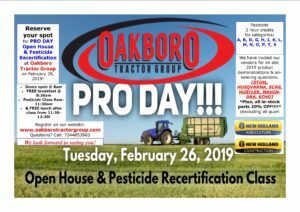 We are county agents and supporting personnel, professors, scientists and volunteers working together to improve the quality of life in Stanly County and in North Carolina. The staff in your Extension Center coordinates educational programs, public meetings, workshops, field days, personal consultations and satellite broadcasts to help you improve your life. Your Extension Center is stocked with publications and newsletters on a variety of topics. 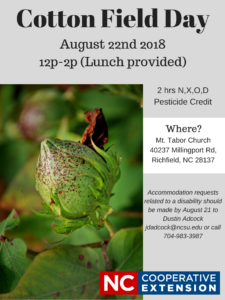 To put Cooperative Extension to work for you, call or visit the local county Extension Center located in the Stanly County Agri-Civic Center on the corner of NC 24/27 Hwy and 2360 Newt Road in Albemarle. Looking for a specific person? 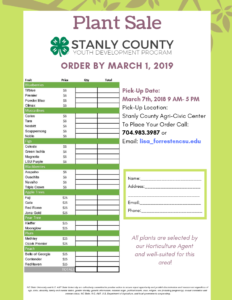 Try the Stanly County Center Staff Directory, or the Full Directory for N.C. Cooperative Extension.